Get rid of your candy corn. 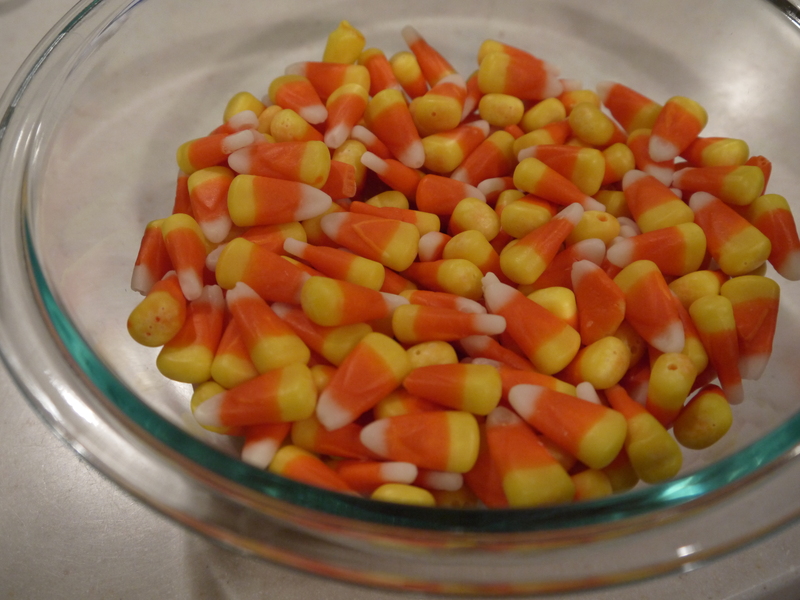 Melt candy corn in the microwave for about 60 seconds. Check, stir and return to microwave for 15 second intervals until completely melted. Add peanut butter and combine. Return to microwave if necessary to incorporate until creamy. Pour into a greased or parchment paper-lined 8”x 8” pan. Once completely cool, cut into bars. Line a large baking sheet with parchment or wax paper. In the microwave or double boiler, melt chocolate. Stir until smooth and allow to cool slightly. 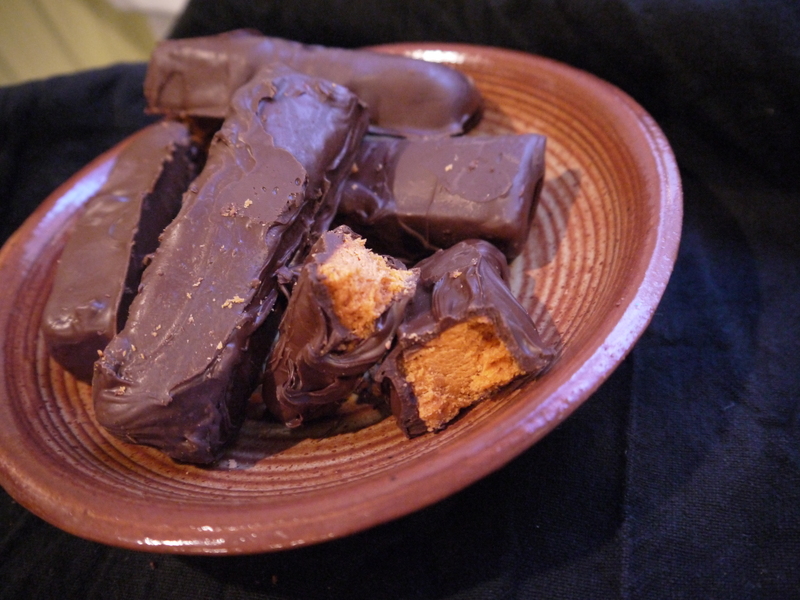 Dip each bar into chocolate, allow excess chocolate to drip back into bowl and place on baking sheet. Allow chocolate to harden before eating. This three ingredient recipe is the easiest way to conceal candy corn and will surely appeal to both the lovers and the haters.The sweet, candy kernels melt into a bright, orange goo pretty quickly; be sure to scrape the sides of your bowl and stir often as it tends to stick to whatever its melting in. Even better, try using a double boiler to melt the candy corn, which would enable you to keep a watchful eye on the molten mixture. 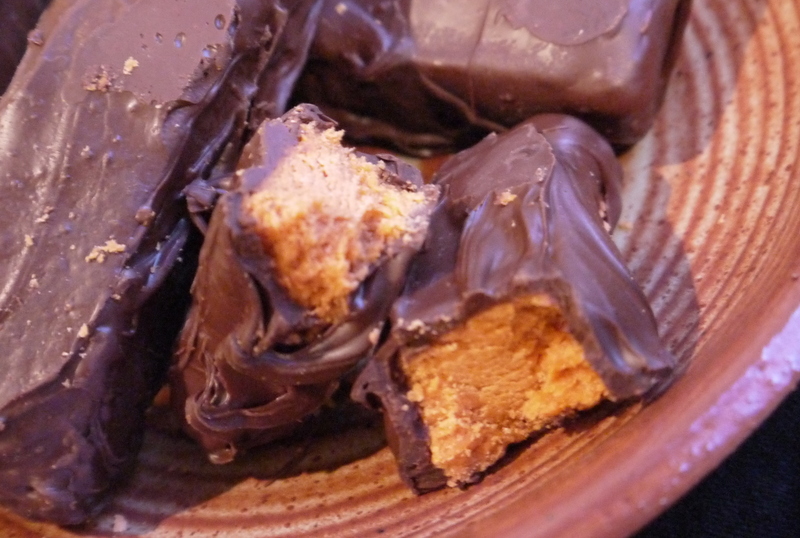 The peanut butter softens as soon as it hits the liquefied candy. It’s baffling the combo creates the same flavor as a Butterfinger bar, and it makes me wonder what else candy corn is capable of. One thing’s for sure: this recipe will open a place for it in the hearts of the anti-candy corn crowd. They look delicious! Hope you had a great Halloween! Are you kidding me right now? That’s just awesome!